Apron in dark charcoal grey. Nothing comes in quite as handy as an apron when you’re already wearing your nice clothes and just have to finishing the last dinner touches before the guests arrive. 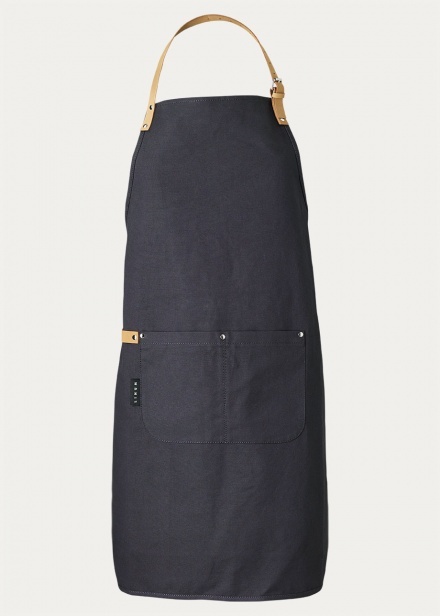 Don’t compromise with either quality nor style when wearing this beautiful apron. 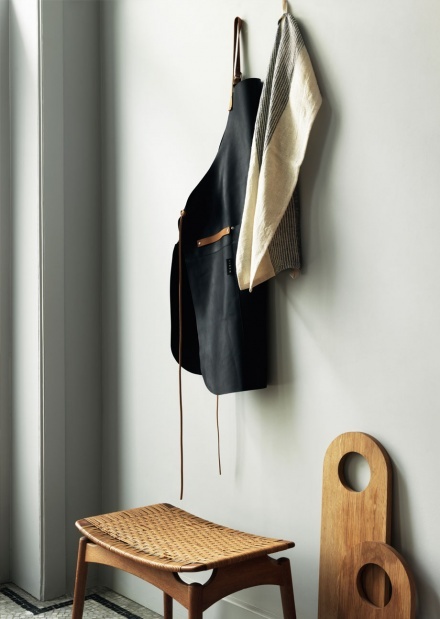 As practical as stylish, keeping your clothes free from stains. Cayenne is made from durable cotton canvas with smart leather details. Size:70X90 cm.